Happy Friday, everyone! Last time we talked about how important lawn care is during spring time in the hot areas of Dallas, Garland and Plano. 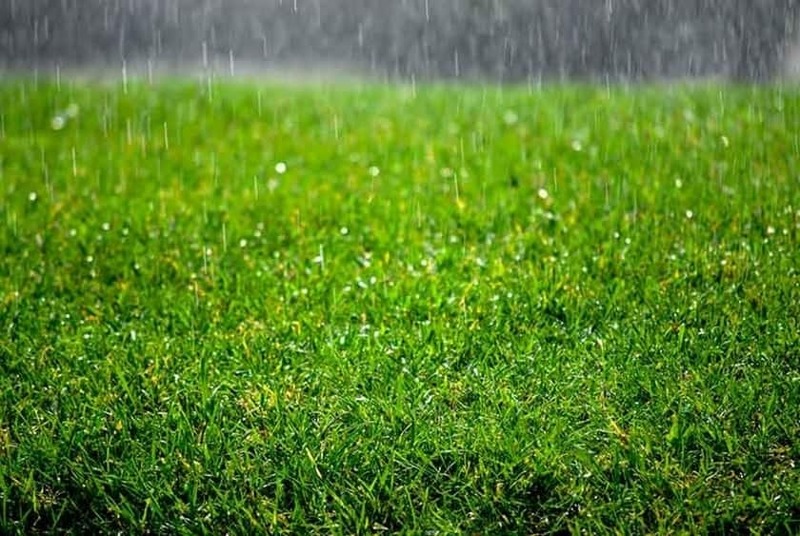 Today, we are talking about how too much rain can actually hurt your lawn, and some things you can do to avoid serious damage to your yard. Gray leaf spot (or Pyricularia grisea) is a disease that thrives in the heat when there is excess moisture. It is prevalent in lawns with compacted soil (see our last blog post for more information on compacted soil) that have excess nitrogen from fertilizers. Some tell-tale signs of gray leaf spot are straw/gray spots on leaf blades surrounded by a brown border. 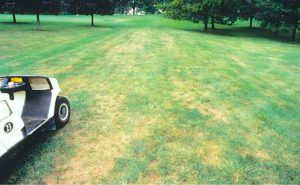 Spots may eventually converge, resulting in the entire leaf blades dying and eventually thinning out the entire lawn. The best way to avoid gray leaf spot is to steer clear of using nitrogen fertilizers and herbicides on affected areas. Also, avoid irrigating your lawn in the late afternoon, and make sure to mow areas you suspect have gray leaf spot last to avoid spreading infection. For more information about proper lawn care service, contact your GoMow lawn care professional today. 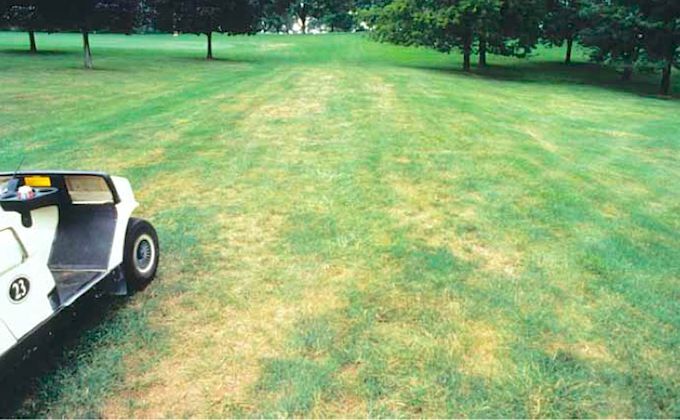 Pythium root rot is another lawn disease that is prevalent in hot weather and is caused by excess moisture or rain. Leaf blades change color, thinning occurs throughout the lawn, and roots discolor and lose hairs necessary for lawn growth. Pythium usually won’t kill a lawn, but it will if the lawn is underwater for an extended period of time. Our last disease also occurs in areas with high rainfall. Take-all survives in the soil and parasitizes the root system. 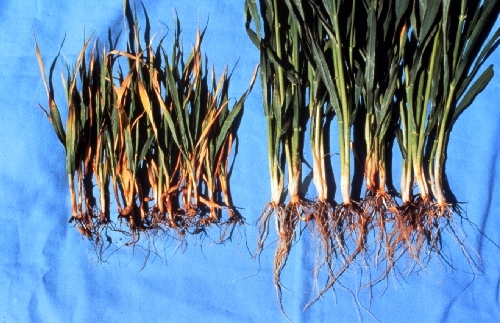 While the symptoms are very similar to Pythium root-rot, affected grass turns short and black. Grass is off color and thins, and the affected areas are normally between 3 to 15 feet in diameter. Early developments of take-all usually go unnoticed, as the disease occurs in the roots. 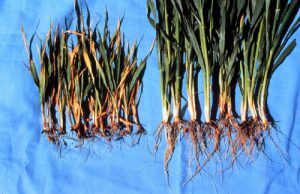 Excess rain and other stressful weather bring out above-ground symptoms. 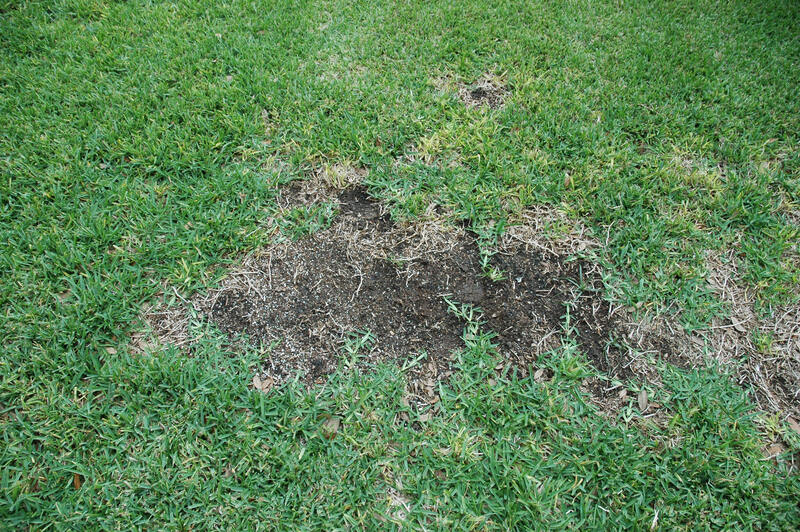 If you suspect the disease in your lawn, take a sample to your local plant disease to confirm. The best (and only) way to combat these diseases is to start by minimizing root stress. Make sure you mow to the proper height for your grass, and avoid scalping the lawn. Find a fertilizer that uses an equal amount of potassium and nitrogen, and apply frequently but lightly. 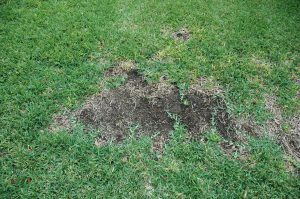 These are just some of the diseases that can affect your lawn if you do not give your grass proper lawn care. If you are in the Dallas, Garland or Plano area and have a question about lawn care or are interested in a new and reliable lawn company, call GoMow today! Click below to get a quick quote for lawn care services.